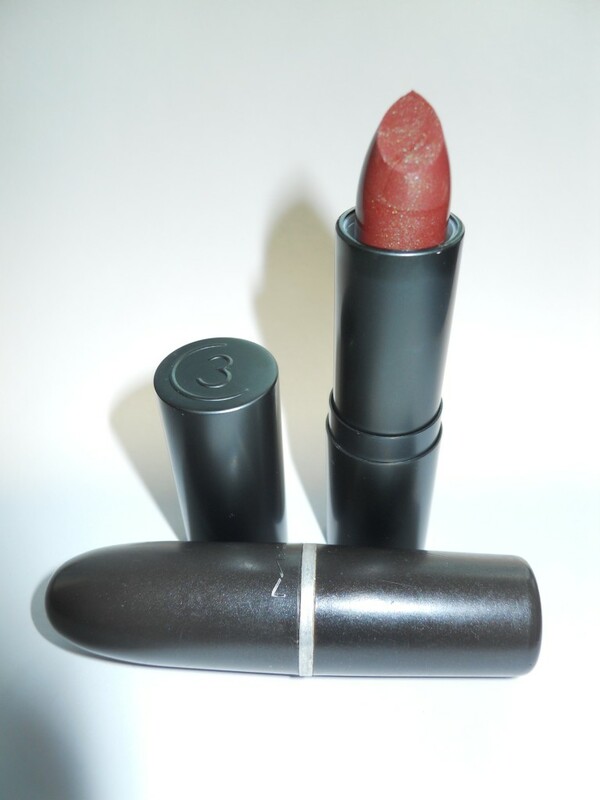 Glass of Fancy » Blog Archive » Rescuing Lipstick From Oblivion: An Adventure With Three Custom Color - Fashion, fiction, and life in the city. MAC discontinued some years ago, and I’ve been nursing two remaining stubby tubes ever since. Until now. Thanks to the wonders of the internet, custom makeup blending is now accessible to everyone through Three Custom Color Specialists. For a fee, Three Custom Color will take a sample of your favorite makeup (pretty much anything but foundation and eye pencils) and reproduce it for you. I was a little skeptical about whether they’d really be able to do to Spanish Fly. Sure, the base color would be easy enough to do, but green frost? I sent in my last tube for them to sample but reserved judgment. The people at Three Custom Color know their stuff. When the two tubes I ordered arrived (along with the return of my original tube), lo, what should I see but green frost? Here’s a pic of the result, with Spanish Fly on one side and the Three Custom Color reproduction on the other. Ever try to get a picture of your own lips? Not easy. Can you tell the difference? I’m not sure that I can. It may not be exactly the same consistency that Spanish Fly was, but it’s pretty damn close. And as for the color, the original might have slightly more frost than the reproduction, but that could also just be the fact that the original is a bit torn up from the sample being taken and went on a little heavy. I am a happy camper. At $55 for two tubes, it’s more expensive than just buying the colors MAC is stocking now, but for custom work and my perfect shade, it’s well worth the money. Three Custom Color also keeps their reproductions on file, so if you’ve had something compounded once, you can order it again without having to provide a sample. You can also search their archives for discontinued colors that other people have had done, so if you’re a fan of Spanish Fly, you can now order it from them without having to have an old tube on hand. In sum, booyah! I’m so wearing it tonight. This entry was posted on Wednesday, September 21st, 2011 at 9:24 am	and is filed under Frippery. You can follow any responses to this entry through the RSS 2.0 feed. You can leave a response, or trackback from your own site. amazing. 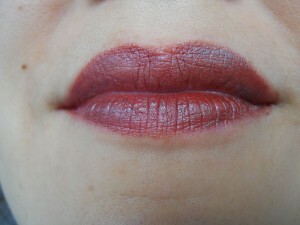 i used to love wearing MAC Spanish Fly lipstick out to clubs, but for me, not an everyday day lipstick. but it looks amazing on you! I just placed my order today! Thanks! And it’s such a great service, I’m thrilled to have my favorite back. I also love this lipstick and think it’s perfect for me! When I discovered it would be discontinued I bought the last ones I could find (two). Unfortunately one of them don’t have it’s original smell, but I will use it anyway! Thanks for sharing the tip!